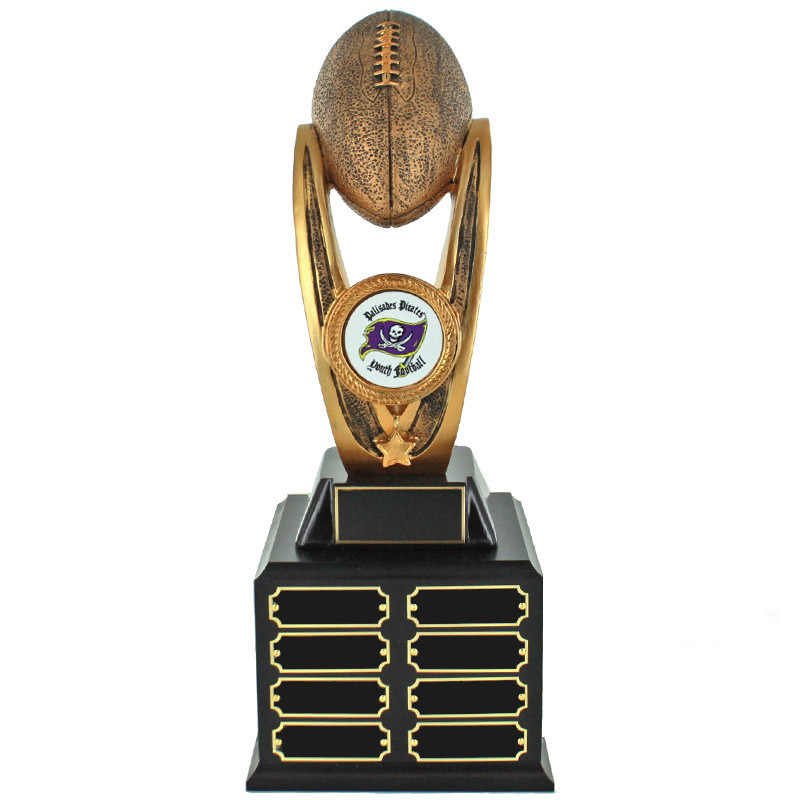 Item description: Antique gold resin finish fantasy football trophy on double black base. Can hold 2 inch full color custom medallion insert. Trophy size 16-1/2 inch (height). 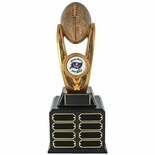 Trophy is supplied with 1 header plate and 32 small name plates. Engraving Options: Engraving option below includes plain text maximum of 3 lines and 25 characters per line of text on the header plate. And only text to be laser engraved on name plates with a limit of 2 lines per plate. If additional names engraving is needed, engraving information file needs to be uploaded via "Upload Artwork File or Engraving Info" link below.